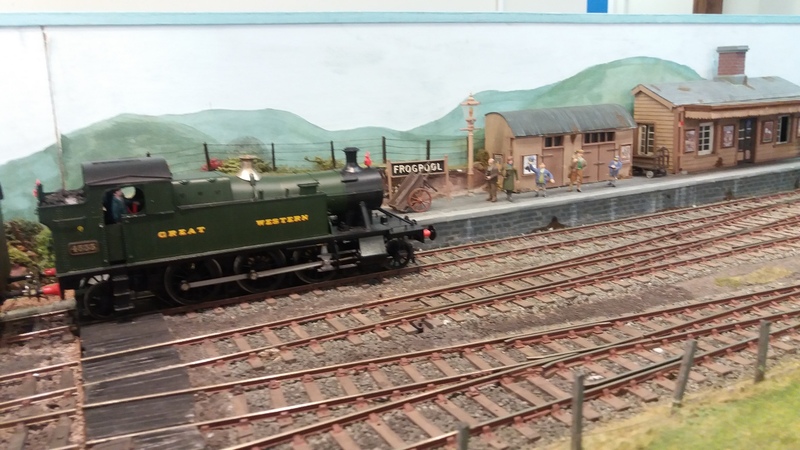 The NFMRS held their 39th annual exhibition at the end of May and we had around 700 visitors over the two days to enjoy the many layouts on display. There follows a brief description of some of the exhibits, although not all the details can be included here. If you want more information about any specific layout, please email us and we will provide you with contact information for the exhibitor. ...and some nice photo opportunities from under the bridge. 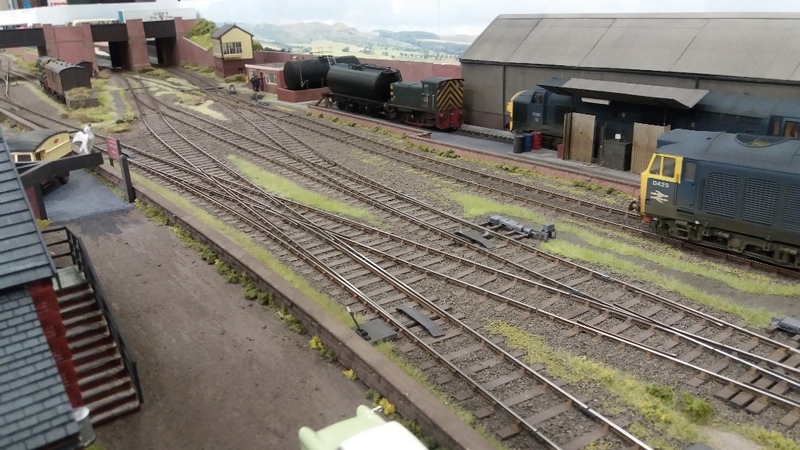 With this large fiddle yard and many sidings it's no surprise this layout is operated by DCC. 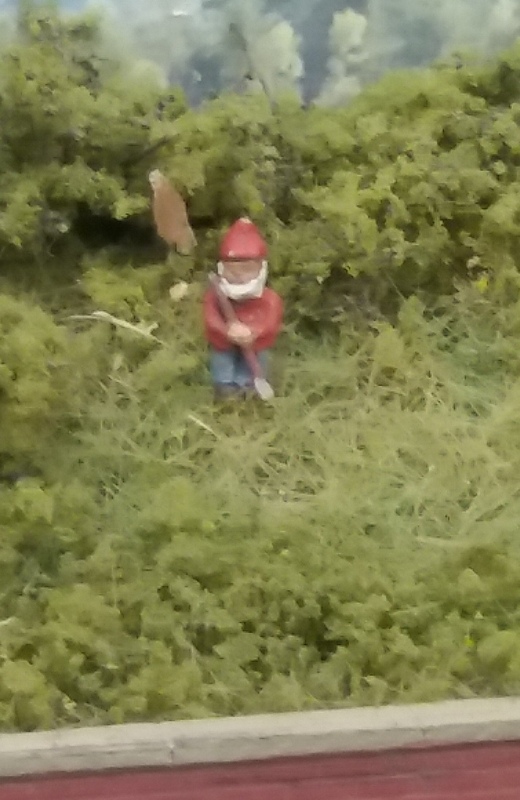 And finally, yes, we spotted the gnome. 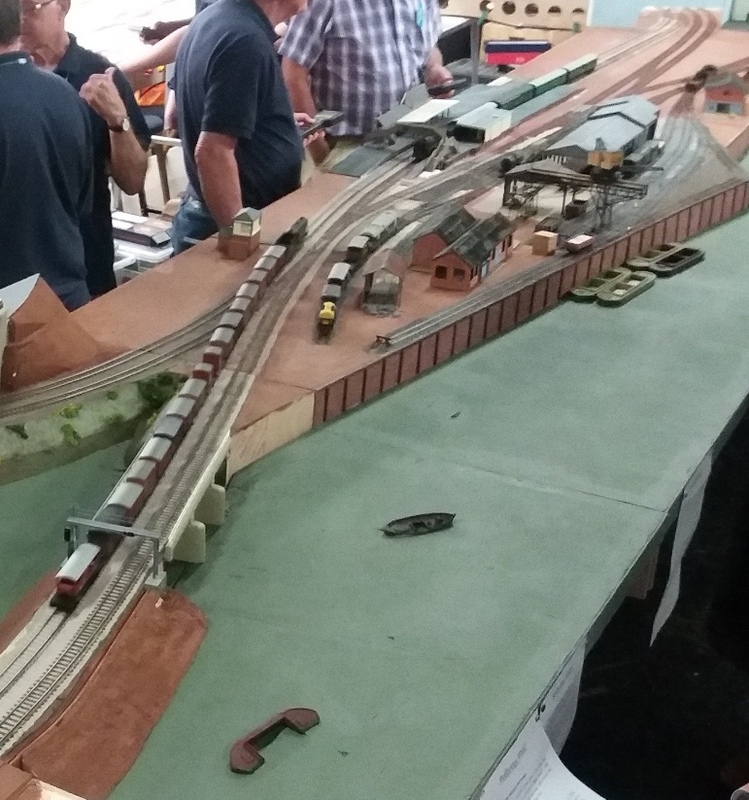 Our thanks to Steve Thompson and family for coming all the way down from Derby to present this excellent layout. 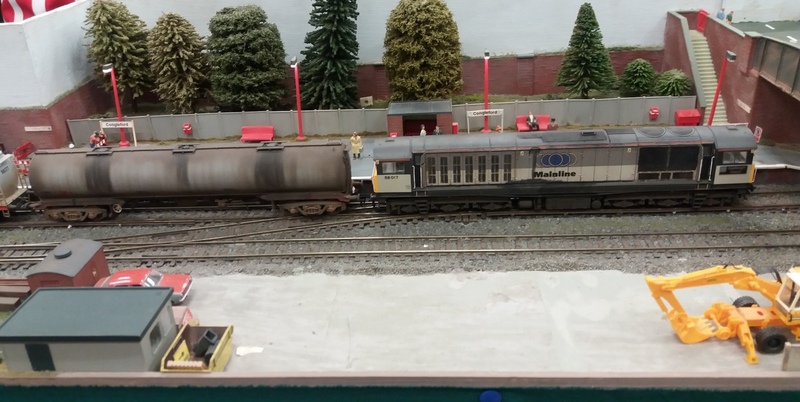 Oulton MTD provides a relatively modern theme set in the 1980s in the Midlands. This was the largest layout at the exhibition and made quite an impression as visitors entered the main hall. The scale is OO and required several operators to control the many trains. Much of the set up time involved getting all the stock on the tracks. Oulton Station is a finely detailed terminus but has passing trains on the continuous loop. A three dimensional effect is created by a track at higher level..
Another photo along the main area and note the interesting vehicles. To one of the short sides of the layout was a second terminus station set between a bridge and a tunnel mouth. And this is what you can call a fiddle yard!! Helstowe is one of our club layouts under construction. 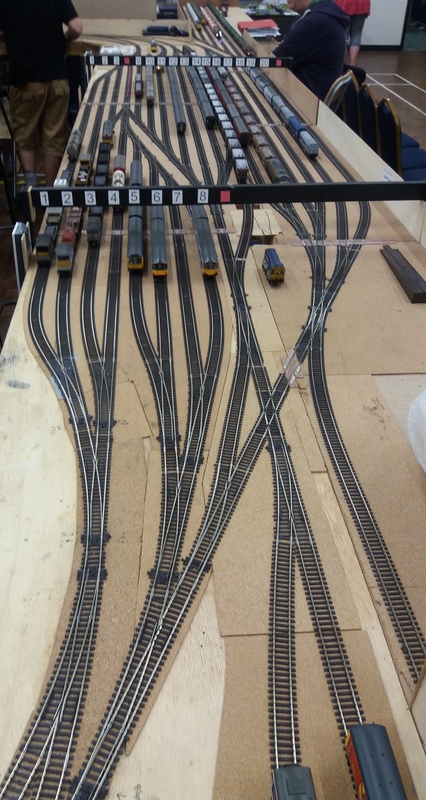 The track is now fully installed with 30 points and the electrics are fully functioning. 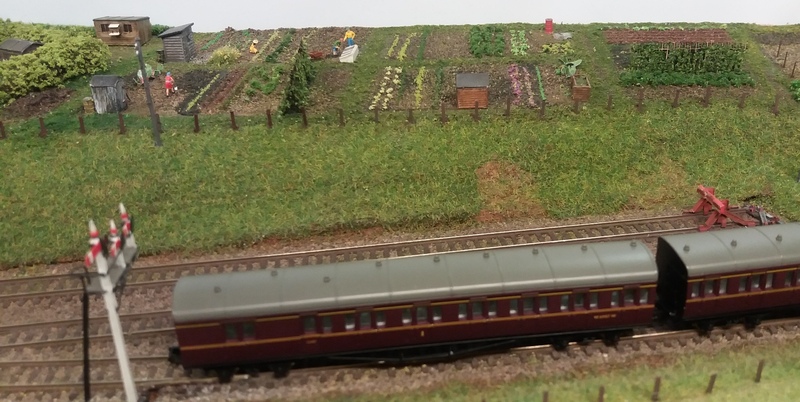 This was the first outing for Helstowe where trains could run the full length of the layout. See our 'Layouts' page for more details. ...and the terminus station is being built. Note the lights in the buildings! 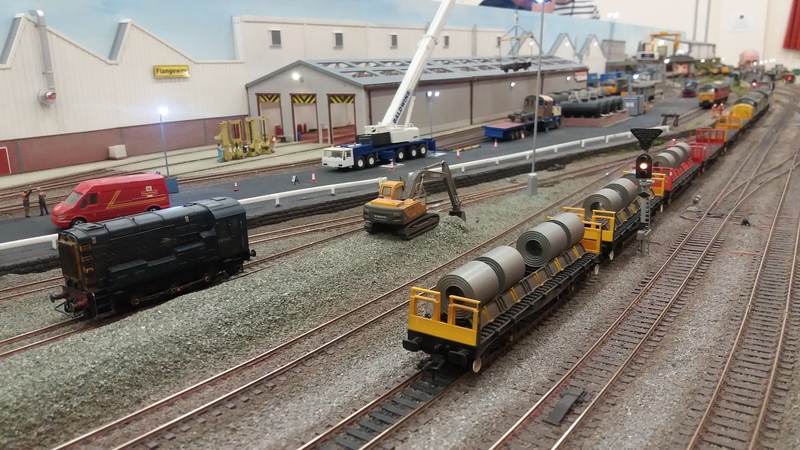 Why not come along to our Open Day in November to see how this layout is progressing? And so to Redbridge Wharf. This ambitious OO project is a work in progress and took up much of the stage at Brockenhurst Village Hall. The layout is a representation of the wharf at Redbridge alongside the River Test near Southampton in the 1960s viewed from the west at Eling. 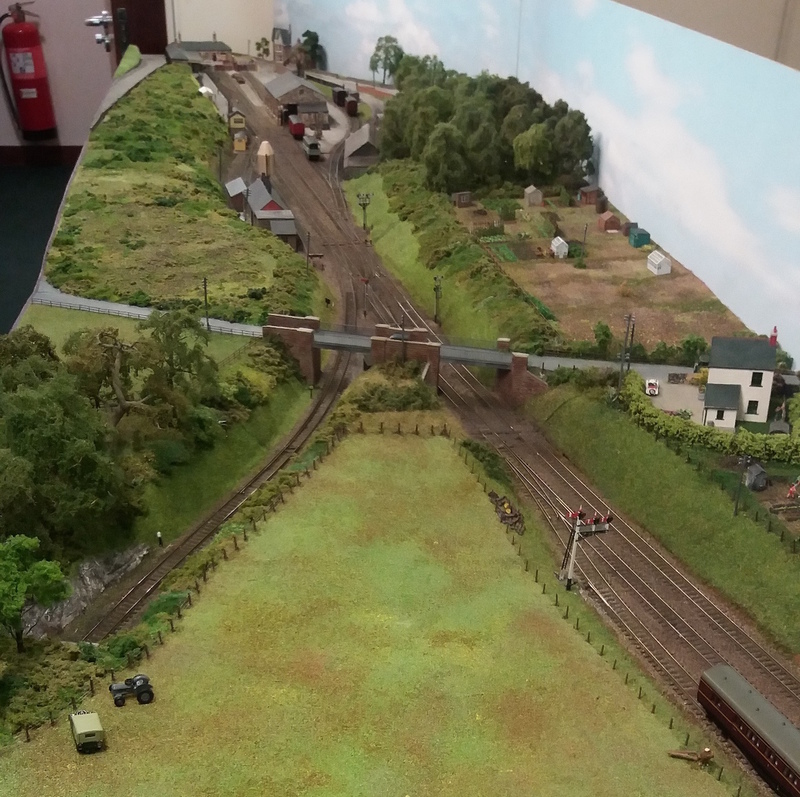 The operators - Winchester Railway Modellers - are using old photographs and maps to try and get as accurate representation as possible and have carried out research with former employees of the site. 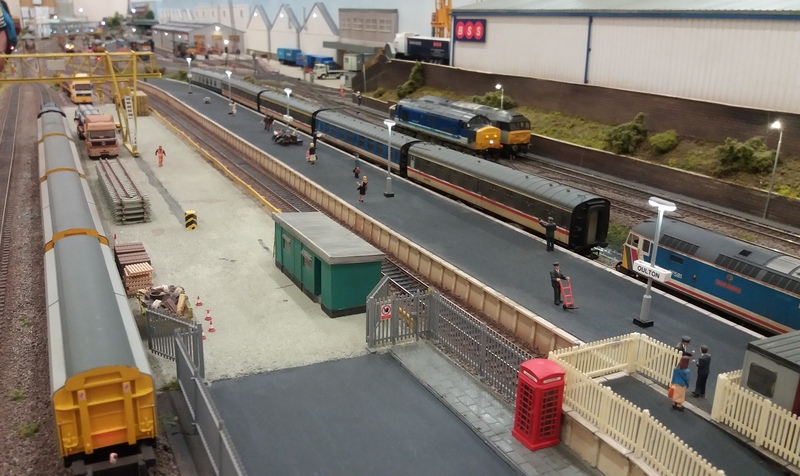 The layout is operated using DCC and many trains were both on display and running. There are so many details both on and to be added to this layout: the A35 road bridge, wharf, cranes, timber stores, a large foundry and many other parts that made up the working plant. The wharf area is still under construction, but well advanced with long trains passing through. Note the road bridge over the A35. This excellent model was laser cut. Some of the track has been scratch built with over 700 solder joints. ...and small detailed areas are already in place. Another modern scene OO layout was Croydon North Street. This is a fictitious setting for the Network South East network and divided by a bridge into two parts. 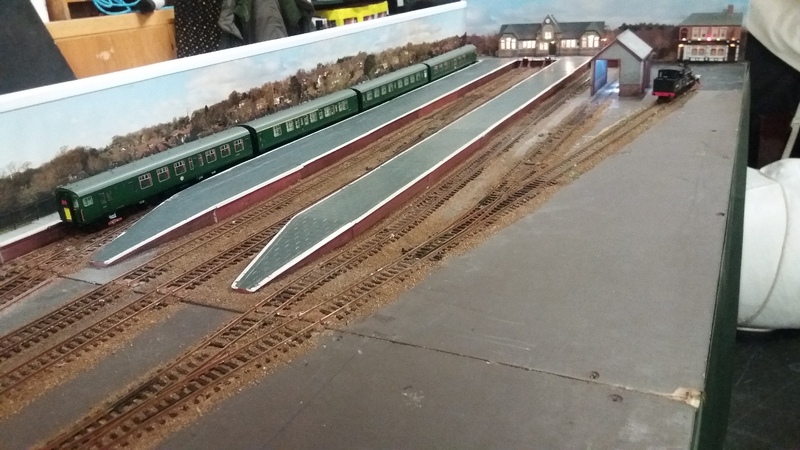 The finely detailed station has a typical south London feel whist the opposite end of the layout features a depot and tunnel mouth to the fiddle yard behind. The layout also had a very smart track plan on the board that provided the layout's background. And the tunnel entry to the fiddle yard disguised by a pipe bridge. 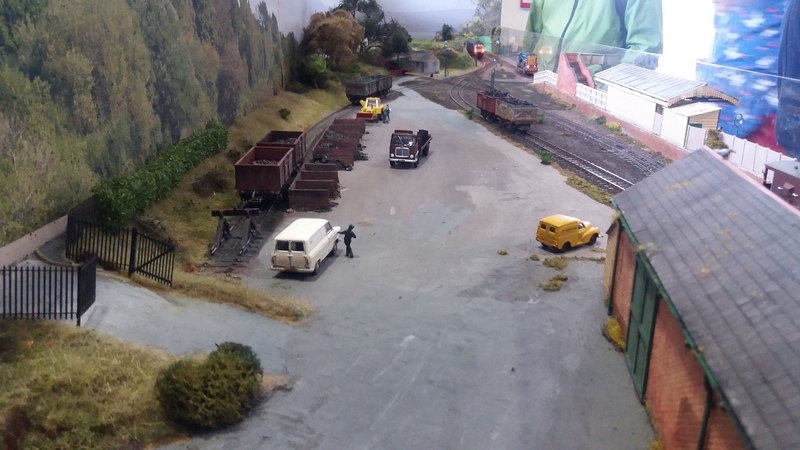 Frogpool: a second O gauge layout at the exhibition. This layout depicted a romantic fictitious branch station in Cornwall. 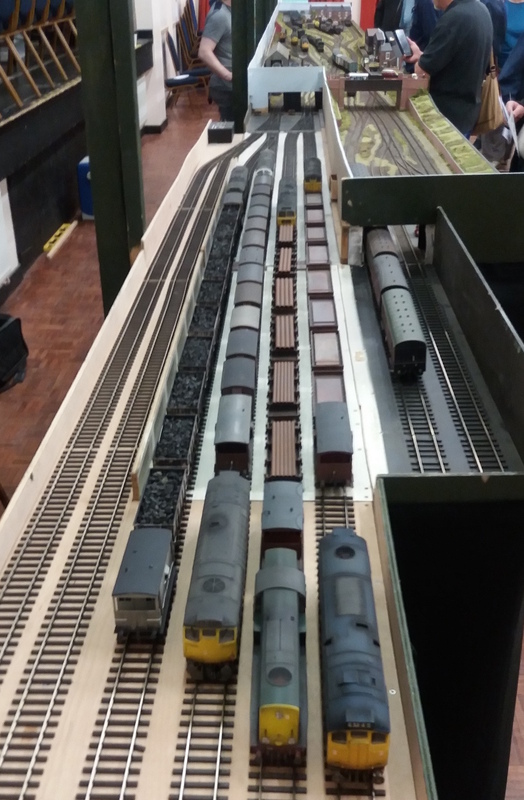 The Andover Model Railway Club has wired this layout in a conventional manner, but has the option for DCC operation so that sound can be used. The buildings are based on real structures taken from books and photographs. 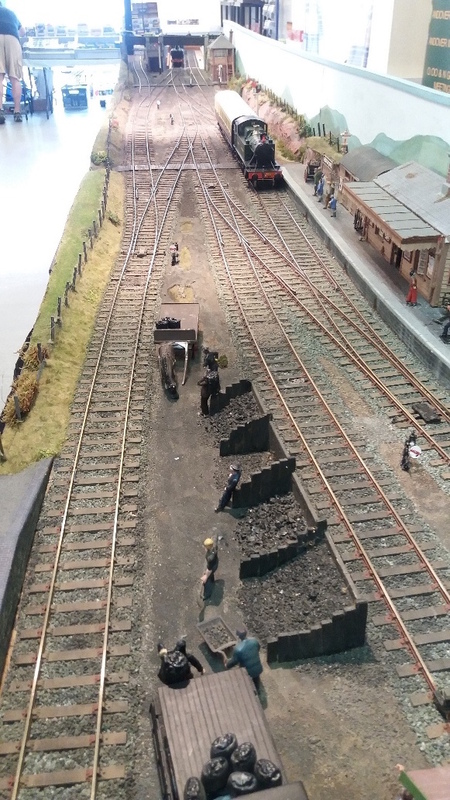 The following photos show the fine detail on this layout. 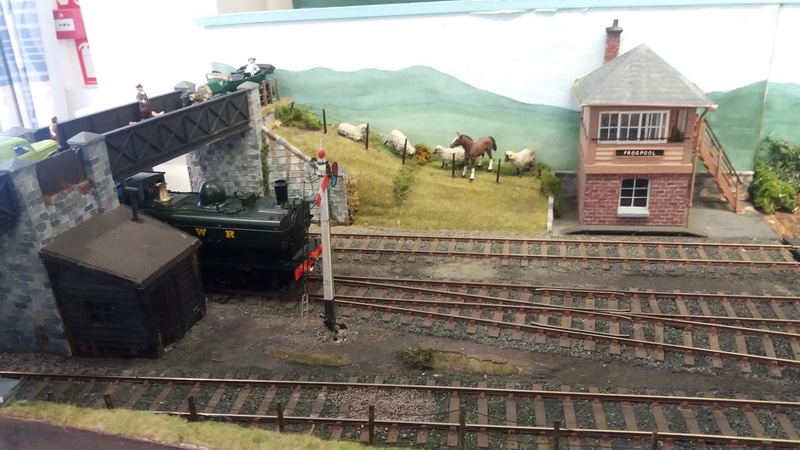 And small scale N gauge was represented by Bodmin General from the Salisbury and South Wilts Railway Society. It's back to the early 1950s here when steam ruled on the withered arm of the Southern Railway at Wadebridge. This layout is based on the real site and they have even taken measurements to get the layout right. The buildings are based on old photos of the site and the station building that still exists as a railway preservation area. ...and the goods area with some distinctive adverting boards. The allotments had individual plants which is quite impressive at this small scale! Holm was an excellent OO layout which used many kits that are readily available in model shops. The track plan is based the old GWR station at Kingsbridge in Devon and locos are based on pre war operations. And now for a really local Dorset layout : Parkstone Goods. 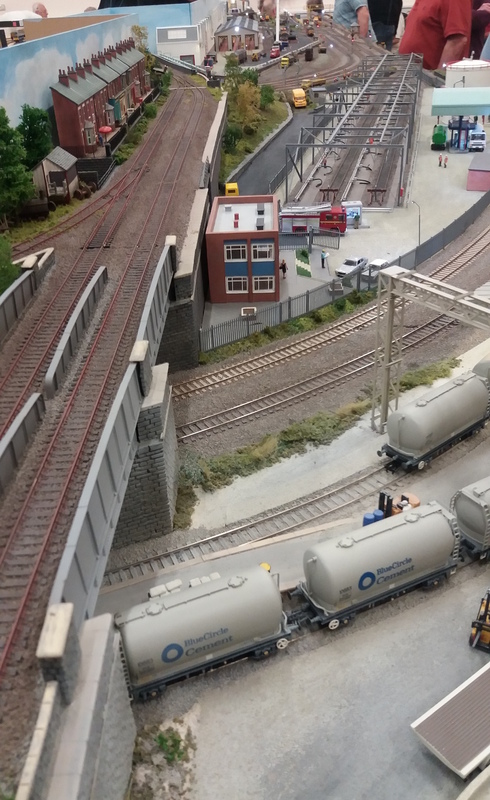 This OO layout is a faithful depiction of Parkstone station goods area behind the station around 1979. This is especially poignant to the operator because he now lives in a flat built over the goods shed. The operations which are limited to shunting are controlled by DCC. The total length of the layout is 12 feet over three boards. In this photo Parkstone station can be seen on the right hand side with the footbridge cut away. Note the detailed coal stores. The goods shed has been modelled using old photos as a guide. There is rickety crossing over the track rails from steps up to the station. There is an old photo from this view that the operator obtained after construction. He was very pleased that the layout depicted the Parkstone Goods area exactly! And much of the trackwork is hand built. 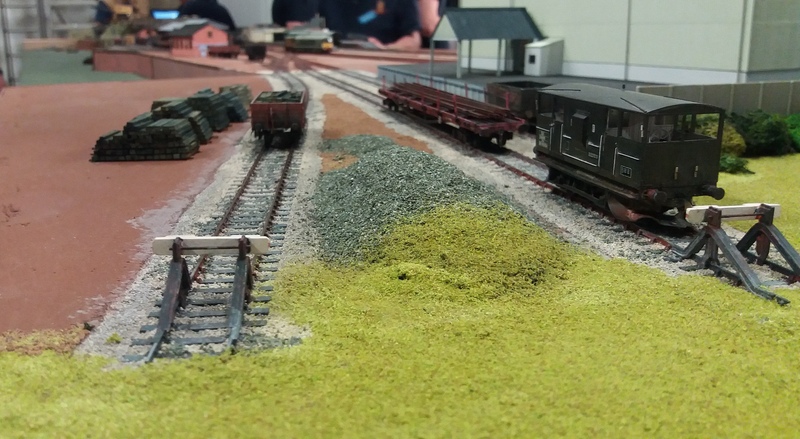 And finally Congleford, a layout presented by one of our NFMRS members. 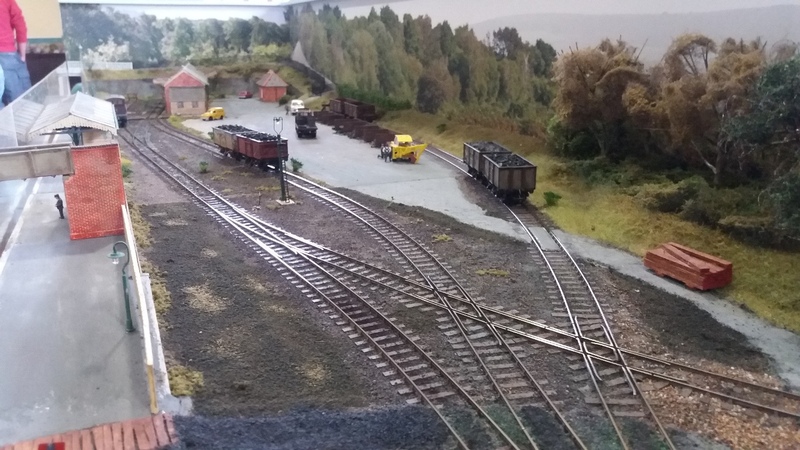 This layout has history because during its life it has region changes, period changes, fiddle yard added and scenery changes. Today we see it as a 1980s modern scene set in the Midlands. This just proves the old adage that a model railway is never finished. Although this overall view shows that the layout is not very large it does have lots of detail. 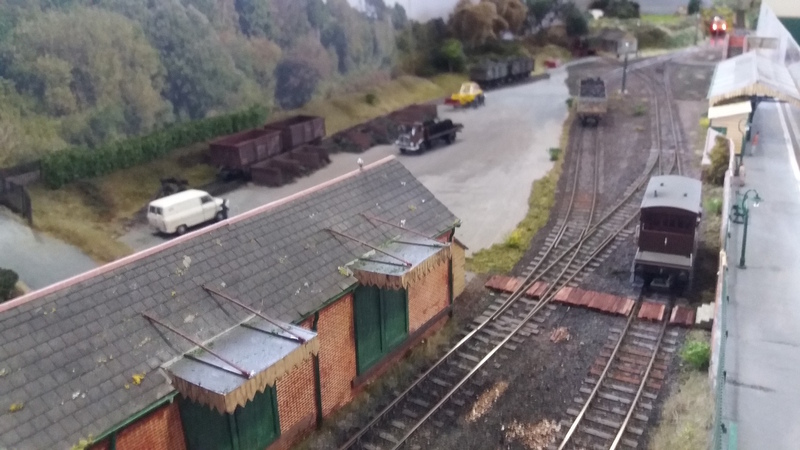 And with the fiddle yard hidden behind the grey shed there are opportunities for shunting operations. Congleton station has been finely detailed..
... as is the trackside and siding. We intend to feature Congleton on our website layouts page very soon. That's all the layouts we saw at the exhibition. 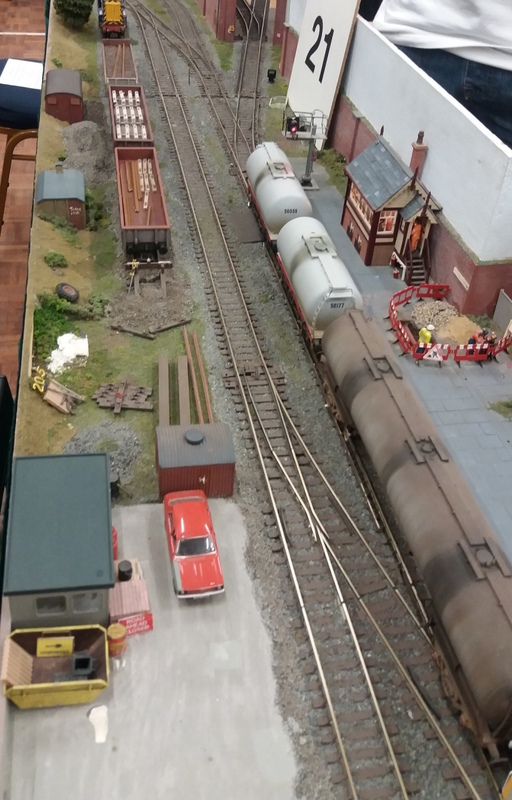 We hope this report has reminded you of the exhibits and we hope to see again at our Open Day in November where most of club layouts, together with some members' layouts, will be on display. Watch out for more information on this website. 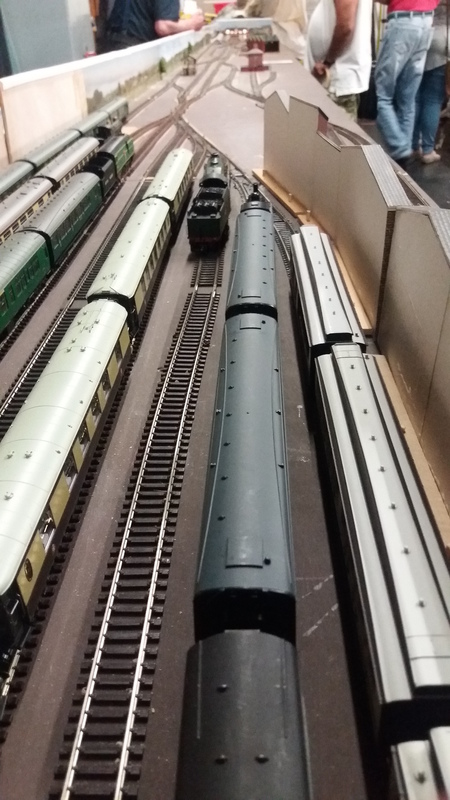 The NFMRS wishes to thank all exhibitors for the time and trouble they took at our exhibition and we compliment them on the high standard of railway modelling. 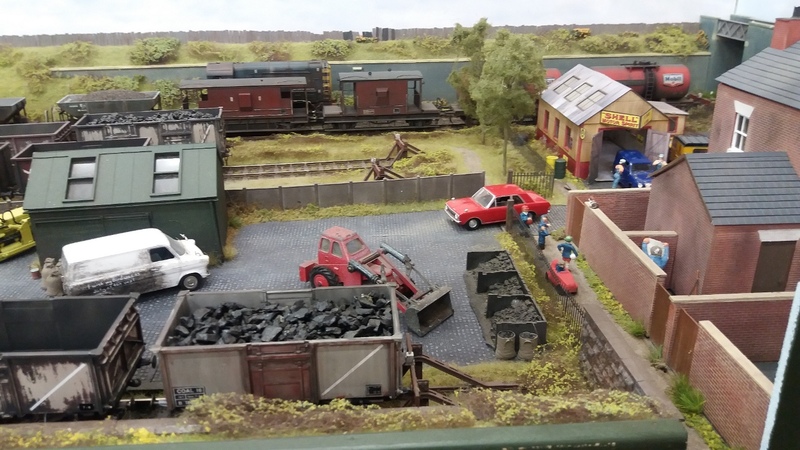 New Forest Model Railway Society. March 2019.